Enzyme replacement therapy (ERT) partially restores the function of lysosomes and mitochondria in patients with Gaucher and Fabry diseases, a study finds. Fabry and Gaucher diseases are two types of lysosomal storage disorders (LSDs), caused by the lack of activity of two enzymes — alpha-galactosidase A (α-GAL A) in Fabry patients, and beta-glucocerebrosidase (β-glucocerebrosidase) in Gaucher patients. Both α-GAL A and β-glucocerebrosidase are usually found in lysosomes — small structures within cells that digest and recycle materials, transport other cellular compartments, and even repair damaged mitochondria — where they help break down cell materials. Mitochondria are the cell compartments responsible for the production of energy. When these enzymes malfunction, the autophagy-lysosome pathway (ALP) — the main cellular cascade responsible for recycling unwanted proteins and other cellular compartments — is compromised, leading to the accumulation of toxic waste substances inside cells and blocking mitochondria recycling. ERT, a technique in which a faulty enzyme is replaced by a healthy one to compensate for its lack of activity, is one of the standard therapies for LSDs. 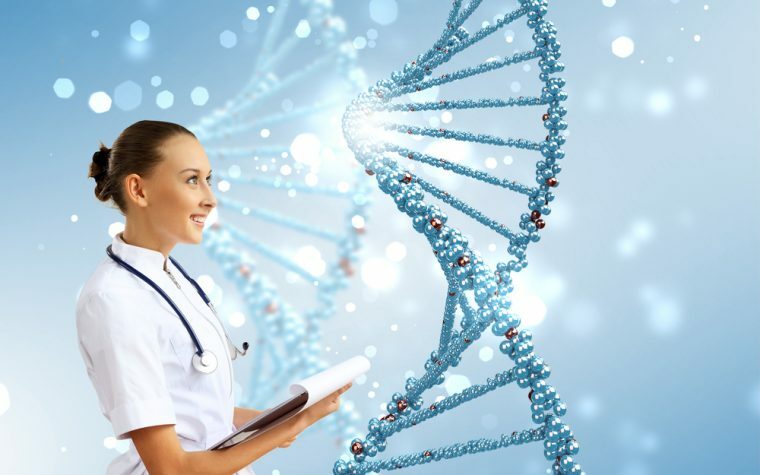 However, “little is known about ALP pathology and mitochondrial function in patients with Gaucher and Fabry diseases, and the effects of enzyme replacement therapy (ERT),” the researchers stated. In the study, scientists from the Lysosomal and Rare Disorders Research and Treatment Center in Fairfax, VA, set out to evaluate the effects of ERT on the ALP and mitochondria function using peripheral blood mononuclear cells (PBMCs) from 21 patients with Fabry disease, and from 34 patients with Gaucher disease. PBMCS are immune blood cells, namely lymphocytes, monocytes, and dendritic cells. Data showed that in both disorders, the levels of Beclin1 (an autophagy marker) were high, while the levels of SQSTM1/p62 (a ubiquitin-binding protein also involved in autophagy) were lowered, suggesting a deregulation in the ALP signaling pathway. Autophagy is a process where cells degrade or recycle components that are damaged or no longer needed. Cells use autophagy as a housekeeping “cleaning system” to get rid of toxic materials, such as proteins damaged by disease. Researchers also found that lysosomal defects not only impaired autophagy, but also compromised mitochondria function and the mTOR signaling pathway — a signaling cascade that must be inhibited to allow autophagy to take place in cells. The study revealed that ERT — with VPRIV (velaglucerase alfa) in the PMBCs from Gaucher patients, and with Fabrazyme (agalsidase beta) in the PBMCs from Fabry disease patients — partially restored ALP function, normalizing the levels of lysosomal, autophagy and mitochondrial markers. “Experiments comparing PBMCs before and after (ERT) infusion, showed sufficient uptake of enzyme and the tendency of normalization of ALP . . . and mitochondrial Tfam” (a gene that encodes a protein involved in mitochondrial repair), the researchers wrote. “In vitro studies confirmed our observation that during the first hour of ERT, autophagic-lysosomal function is normalized in PBMCs,” they said, noting that how long ERT restores lysosomal function, and whether it can correct cellular abnormalities, remains to be seen in future studies. Tagged enzyme replacement therapy, ERT, Fabrazyme, lysosome, Mitochondria, VPRIV. Good Article and please inform us if new developments, especially Gene Therapy.